A police officer can’t just walk up to you and start searching you. The Fourth Amendment to the Constitution forbids this type of police action. 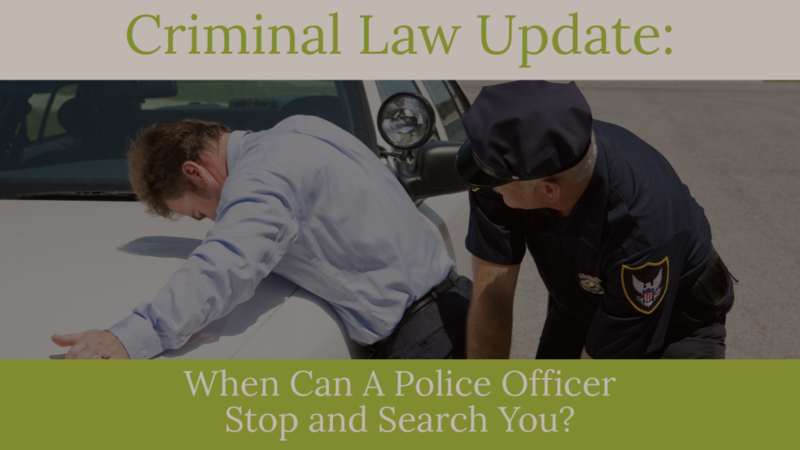 The Fourth Amendment prohibits “unreasonable searches and seizures.” It is the judge in your case and appellate courts on appeal that determine which searches and seizures are reasonable and which searches and seizures are unreasonable. Officers must have “reasonable suspicion” to believe that you have or are about to commit a crime. What is reasonable suspicion? It is what a judge determines it is. I can tell you that it is a low burden. It is less than probable cause. Basically, officers just have to be able to articulate facts that objectively leads them to believe that the person has or is going to commit a crime. This type of search is called a “Terry stop,” based on a U.S. Supreme Court decision. Although officers can’t walk up and search you without reasonable suspicion, they can walk up to you and engage in a “consensual encounter.” In other words, if an officer walks up and starts asking you questions and asking to search you and you agree, a judge may determine this to be a consensual encounter not subject to suppression of any discovered evidence. Therefore, in order to ensure that your constitutional rights are implicated, you should refuse officer requests to search. If the officer’s request turns in to a command, the officer will have to be able to articulate reasonable suspicion. A consensual encounter becomes a seizure if a reasonable person wouldn’t feel free to leave or to refuse. Who decides? The trial judge. The judge will listen to the testimony and evidence to determine whether law enforcement used physical force or a sho of authority to restrain the freedom of the person. What did the courts do in Patrick Heard’s case? Patrick’s criminal defense attorney filed a motion to suppress the firearm based on an illegal search and seizure. A magistrate judge held a hearing where the officers testified. The magistrate judge recommended to a district judge that the motion to suppress be granted. The district court judge, however, decided to have a hearing of his own and the officers again testified. The district court judge disagreed with the magistrate judge and subsequently denied the motion to suppress. Patrick pled guilty but reserved his right to appeal the denial of the motion to suppress. 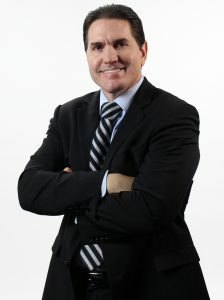 He subsequently appealed and the Eleventh Circuit Court of Appeal reversed the district court judge. The Circuit Court held that the officers had not developed articulable facts that would lead to reasonable suspicion which would support a Terry stop and search of Patrick Heard. The Court decided under the facts elicited at the hearings that there was no reasonable suspicion to believe that Patrick was engaged or was about to engage in criminal behavior. Criminal defense attorneys can now use this case in support of future motions to suppress where there are similar facts. Read United States v. Heard.